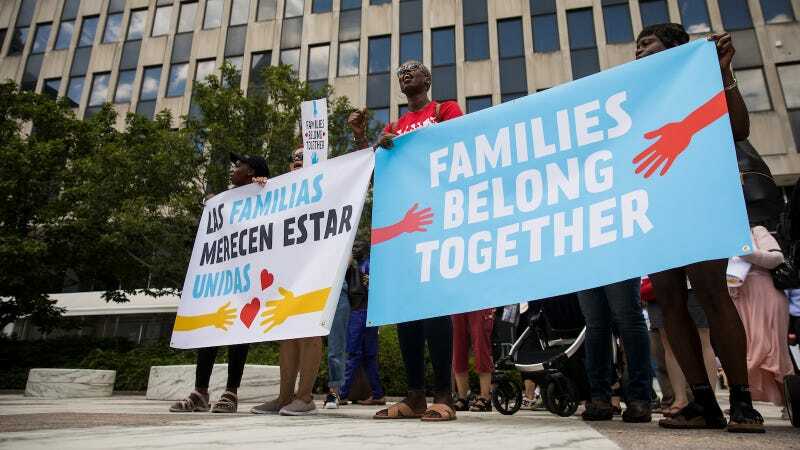 A judge has found that officials at a Texas facility have been giving migrant children in their custody psychotropic medications without permission from their parents or guardians, violating state child welfare laws, reports the Washington Post. Staff members at the Shiloh Residential Treatment Center admitted to administering drugs without parental consent, saying they did so on “an emergency basis” when a child exhibited “extreme psychiatric symptoms,” according to Federal Judge Dolly Gee’s ruling. But Gee didn’t accept that explanation, noting that children’s testimony suggested staff gave these pills twice a day every day, not simply on an emergency basis. On Monday, she ordered that the Trump administration must, except in the case of an emergency, obtain parental or guardian consent or a court order to give these drugs to migrant children. Children testified in court filings that staff with the U.S. Office of Refugee Resettlement would sometimes not tell them what drugs they were being given or why. They recalled feeling side effects such as nausea, dizziness, depression and weight gain. Some reported being forcibly injected with drugs, and others said they felt that refusing medications would cause them to be detained longer. Isabella was prescribed multiple psychotropic medications at Shiloh, including topiramate, without her mother’s consent, according to an April court filing. “Nobody asked me for permission to give medications to my daughter, even though the staff at Shiloh has always had my telephone number and address,” the mother testified. Gee has ordered the government to move all children who are not deemed a “risk of harm” to themselves or others out of the Shiloh facility, and required the facility to meet other basic child care standards set forth in a 1997 settlement known as the Flores Agreement. Those basic standards include ensuring children have access to drinking water and private phone calls, which are truly staggering things to have to force the United States government to provide to kids. The Post reports that the facility, which has housed unaccompanied minors since 2013, has a long record of alleged child abuse.